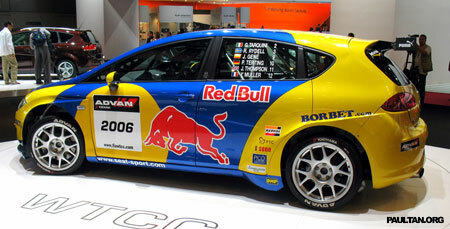 This is the SEAT’s entry into the FIA World Touring Car Championship, based on the SEAT Leon. 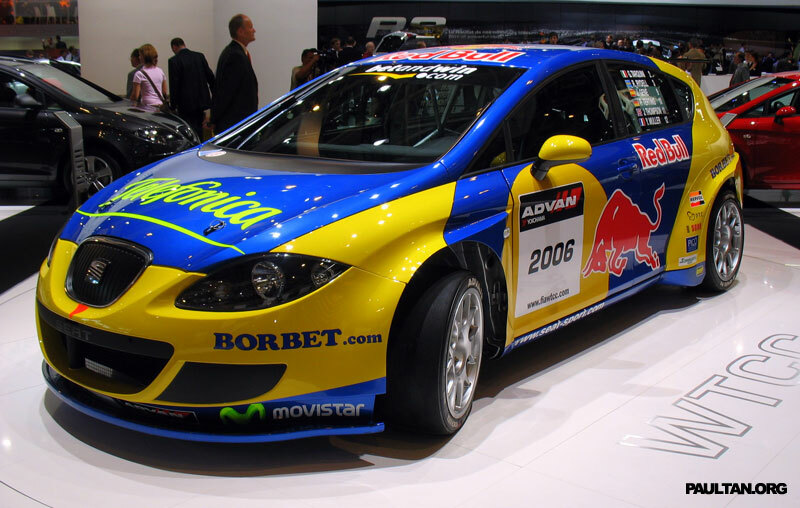 The SEAT Leon WTCC was on display at the 2006 Paris Motor Show, letting us check out what inspired the recently announced 240 horsepower SEAT Leon Cupra. 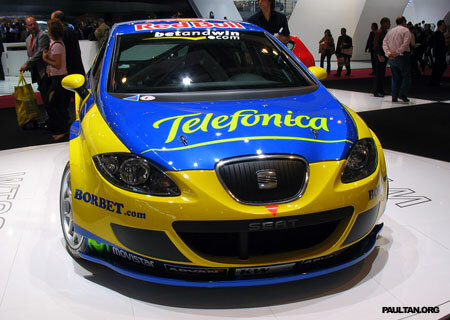 The SEAT Leon WTCC was introduced in 2005, and unlike it’s 2.0 TFSI road-going Leon Cupra brother, it is powered by a 2.0 litre normally aspirated engine (a high revving unit, likely) as per WTCC rules. 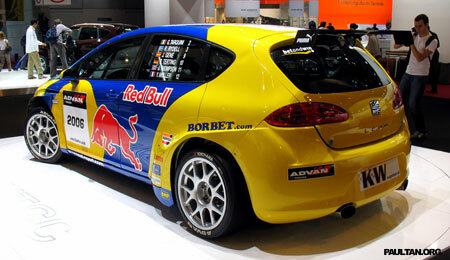 Power goes to the front wheels via a 6-speed DSG gearbox. 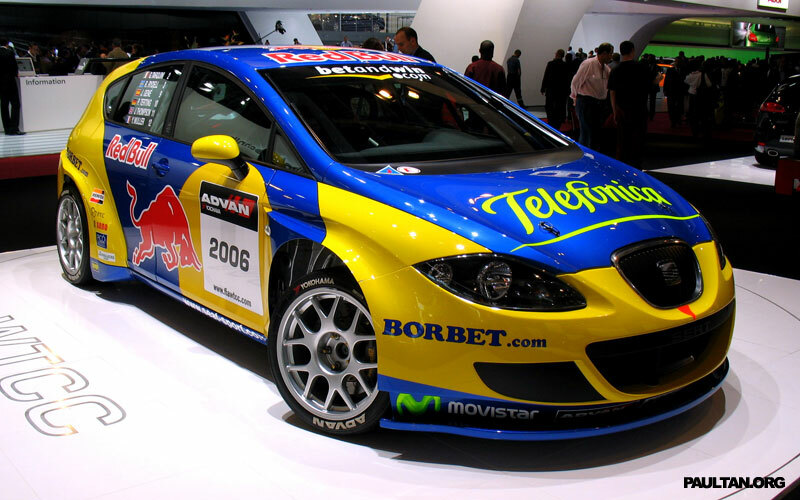 More photos with enlarged versions available after the jump.